Can I Get an Equipment Loan with Bad Credit? We really do say yes to bad credit equipment loans. While other financing programs and lenders might turn you away based on your credit score, we have created a special financing program for individuals with credit challenges. Even if you have had a recent bankruptcy, repossession, or tax lien, our Asset-Based Direct Lease Programs can get you the equipment you need to keep your business moving in the right direction. 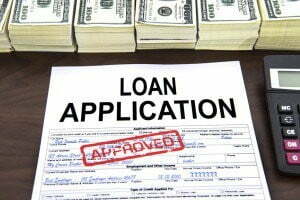 Who Can Qualify for an Equipment Loan for Bad Credit? Almost anyone can qualify, regardless of their credit score, credit history, or general creditworthiness. Instead of judging your ability to repay a loan, we leverage your assets. This allows our clients to get access to the equipment they need. We are able to use equipment, or even real estate, as collateral for the equipment loan. Already have some working capital? We can also qualify bad credit loans with 30% to 50% down, depending on the specific program you’re interested in. Why Offer Bad Credit Loans? The goal of our Asset-Based Direct Lease Program is to help as many business owners as possible fulfill their potential. We fill a real need in the economy that allows businesses to access the capital and equipment necessary to fulfill their contracts, especially when they are unable to secure funds through traditional or conventional financing. On a more personal level, we feel pride knowing that even our bad credit equipment loans are stimulating the local economy. Our borrowers create valuable jobs and tend to buy bulk loads of new materials. Moreover, as many equipment loans involve new construction projects, they also lay the foundation for future development and economic stimulus. Does Your Success Depend on Fast Access to Equipment? If the success of your business depends on your ability to secure the equipment needed to fulfill or acquire profitable contracts, then contact our one of our equipment loan specialists today. Whether your credit is good, bad, or downright ugly, we commit ourselves to helping you however we are able. Bad credit equipment loans are one of our specialities. While other lenders are ready to turn you away at the door, we are ready to give you the opportunity you need to succeed. Let First Capital Business Finance get you the resources you need today. Call us now at 888-565-6692 or contact us online.